We had quite a light night of it yesterday - just four beers shared two or three ways. 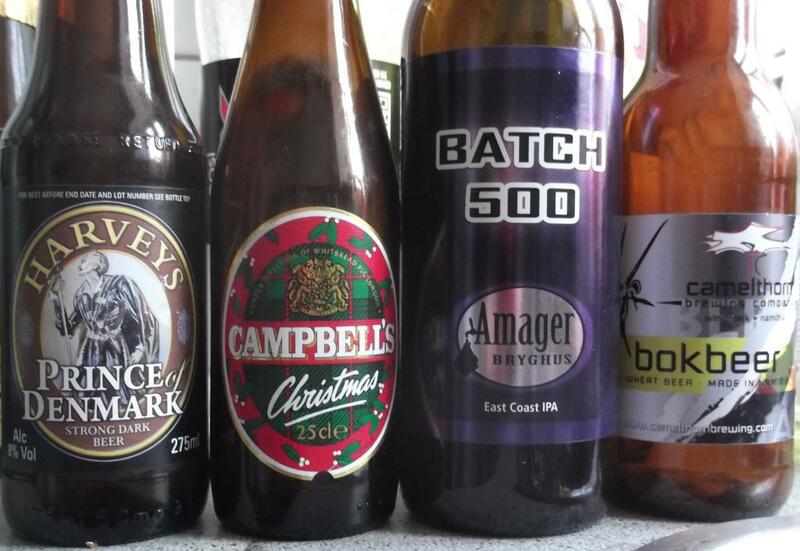 Mind you, all were fairly rare, and a couple were pretty seriously aged by beer standards, most notably the 1996 Campbells Christmas Ale from Belgium - Ratebeer lists this as an English strong ale, but I'm pretty sure it's actually a Scotch ale, a type that's still popular with Belgian brewers. It had oxidised quite a bit, but not too badly, and there was still enough treacley hoppy goodness underneath to make it well worth drinking. The plan for today is to hit one or two of the specialist beer shops in town, then get some dinner ahead of tonight's blue session at Copenhagen Beer Celebration. The beer list for tonight is really quite something - I know the brewery names, but almost all the beers are complete unknowns. Should be fun!